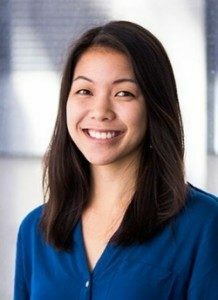 Michaela Lee is currently an Associate at BSR (Business for Social Responsibility), specifically working on human rights and corporate sustainability projects. As a recent college graduate from UC Davis, she is one of BSR’s youngest consultants. In this interview, we discuss how she became interested in business and human rights, and the advice she’d give to students interested in the same line of work. Frank Jiang: Where did you grow up and what were your early years like? Michaela Lee: I grew up in Fremont, where I was home-schooled before attending a private school. The private school was pretty non-traditional—teachers lived on campus with the students, and one of the graduation requirements was even a one-month backpacking trip in the wilderness! Another commitment of the school was foreign service, so I also spent some time in Tanzania. I have to admit, part of the experience was attractive because of how exotic it felt, but that was also my first exposure to different standards of living—while some cultural differences are fine, many were clearly inequities. Finally, I was introduced to both the private and public sectors at a young age. My mom was a Lieutenant Colonel in the Air Force and played a role in national security and intelligence, so I got a sense of public sector work from her. My dad, on the other hand, is a patent lawyer working with intellectual property. The combination of learning from their experiences made me better prepared to work at this intersection of public and private practice. FJ: How did you become interested in business and human rights? Did you work on other issues before this? ML: Truthfully, I sort of fell into this space. After college, I was selected as a CORO Fellow. The CORO Fellowship is a nine-month program about civic engagement, leadership, and cross-sector collaboration. All Fellows experience five placements across different sectors. I was placed in BSR through CORO, and I started working with Peter [Associate Director for Human Rights at BSR] on human rights issues. My first project was with a company in China, where we focused on migrant labor. In particular, we were tasked on examining “influx management”—in other words, figuring out the stresses from a sudden influx of largely male, migrant workers. I really loved the work, and particularly found the issue to be one that could be translated to other countries. At the end of my Fellowship, the program asked us what we looked for in a positive work environment. I thought of three things: the work had to be dynamic, the organization had to approach its work collaboratively, and I wanted to be surrounded by smart, passionate people. I knew I’d found all three at BSR, so I asked to stay on board. I’m excited to say that, of this past January, I am now a full-time Associate! FJ: What does your work at BSR entail? What does your day-to-day look like? ML: My work focuses on three main pieces: background research for issues that come up on projects—for example, women’s rights in the cocoa industry—consulting-specific work like document review, interviews, strategy development and deliverable creation; and collaborative work with the BSR Human Rights Working Group. As you can imagine, there’s no standard day-to-day at BSR! FJ: What are the most rewarding and challenging parts of your current work? ML: The most rewarding part of my current work is definitely the experience I’ve gotten in a broad range of issues and industries. As I’m only two years removed from college, I learn from the projects I work on every day, and get a chance to apply that learning immediately. A guy who worked at BSR once told me, “At BSR, you’re always one or two projects away from being an expert on an issue that matters.” And I’ve definitely found that to be true—I’ve had to do a deep dive across a wide range of issues, from the shared economy, to human rights in the supply chain, to women’s empowerment in sub-Saharan Africa. They might not seem really connected, but they are. Lastly, work at BSR has a “real time” feel. If I went to graduate school, a lot of what I’d be learning would be based on material that’s at least one-year old—in other words, my education would be backwards-looking. At BSR, our work is cutting edge and forward-looking—we have to anticipate what future risks to businesses might be. In terms of how my experience has been challenging, it’s been difficult to directly measure the impact of the work we do. Even if we find accurate numbers, it’s still hard to conclusively identify a causal relationship between our recommendations and improved outcomes, especially when those outcomes might just be the absence of harm done. As a result, it can sometimes be hard to know how much we’re helping. FJ: In what ways has your work at BSR changed your views about business and human rights? ML: I’m a millennial, so I’m part of the generation that believes companies have a social responsibility for their consumers. My experience at BSR, though, has showed me how companies will still face challenges, even with the best of intentions. Supply chain issues, for example, can be really difficult for a company to work on since they don’t have direct control over suppliers’ factories, but they’ll always be the one who ultimately faces the blame. It definitely makes you a little more sympathetic. FJ: What advice do you have for students who want to work in the area of business and human rights? ML: Human rights is a very broad field, which isn’t a bad thing. It means there are a lot of opportunities to specialize. So, for students coming out of undergrad, work experience in a broad range of areas is key. Even if you don’t find something you love, those experiences will still be helpful in eliminating those options that you don’t like. For me, the CORO Fellowship served that purpose. Next, don’t be afraid to ask for opportunities. You can do this within companies—if another department interests you, keep up with what the company is doing in that area. For example, at BSR, though I focus on human rights, I also actively keep up with our climate change work. That way, if a project ever ends up happening at that intersection, I’ll be pretty well-placed to step in. Finally, everyone should stay up to date with world news. I personally read the Wall Street Journal, which also helps me keep up to date on what BSR’s member companies are up to. It’s always good to stay over-informed!